BetConstruct has announced a new partnership with Red Rake Gaming, a Spain-based games developer creating high-quality content in the casino gaming environment. 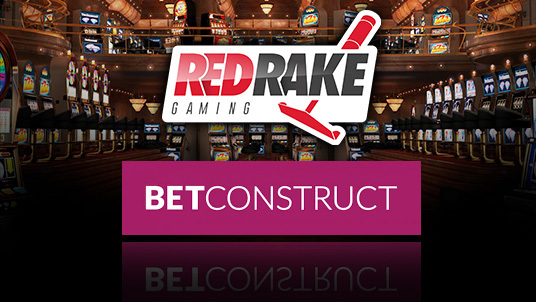 Red Rake’s suit of games consisting of over 40 slots and video bingos and other high-quality games will be available for BetConstruct partners. This new partnership further expands Red Rake’s presence in the evolving online gaming industry and helps BetConstruct continue providing diversified content to its partners. Carlos Fernández, Head of Business Development of Red Rake Gaming, commented on the deal, "We are very pleased to have reached an agreement with BetConstruct. Our primary goal is to create the best casino games and make them available to the maximum number of players. We are sure BetConstruct’s customers are going to greatly enjoy our games". Sergey Harutyunyan, BetConstruct COO, said: “Red Rake is a welcome addition to the BetConstruct Casino aggregator, that is now one of the largest in the industry. Red Rake Gaming's quality multi-language slots and table games will be made available for our existing and rapidly expanding list of clients internationally".